Recently a mom asked me to recommend good quality Bible stories for her 10-15 year old children. Since it is crucial for everyone to read and understand the Bible, I have put together an annotated resource list suitable for this age and for new Christians…and for everyone else who wants a narrative approach to the Bible. First of all, I recommend reading the Bible itself. It is, unfortunately, easy for young people and new Christians to get bogged down in prophecies, laws, and genealogies, especially if they are not familiar with the stories. Penny Gardner has compiled a list of Bible stories from the Old Testament and the New Testament, with brief descriptive titles. If you are looking for a simple narrative approach to the Bible this is an excellent start. Of course, 10-15 year olds could also be reading Psalms, Proverbs, Paul’s letters, and the rest of the Bible, but that is not possible for everyone. Most Bibles list key devotional passages in the front to introduce people to these important aspects of Scripture. 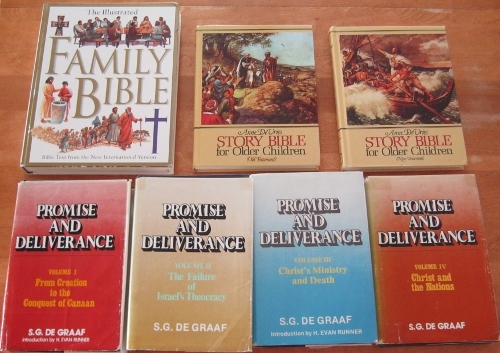 The best ‘story Bible’ I know of is the Illustrated Family Bible. We have read it many times. It is a realistically illustrated book that tells the stories using words straight from the Bible. It also gives background information in the sidebars, and is therefore a good handbook as well. For more information you can read my review of this wonderful resource . If you prefer a real story Bible told by a gifted story-teller, try the Story Bible for Older Children by Anne de Vries. 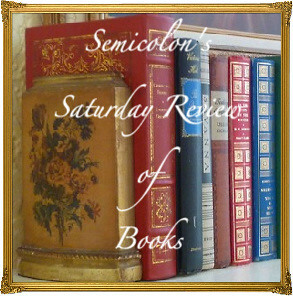 (Link is to my review.) It is available in a beautiful two volume hardback version here (about 1/5 of the way down the page) or as a free PDF for both the Old Testament and New Testament volumes. The Candle Bible Handbook is not a story Bible, but rather an illustrated introduction to each book of the Bible. It is suitable for ages 7 to adult and would be an excellent supplement to the above resources. Six Tips for Bible Reading is about making Bible reading an everyday reality in your life. Also, if you use Veritas Press’s Omnibus program, you might also be interested in my tables organizing their Bible study by Omnibus volume. 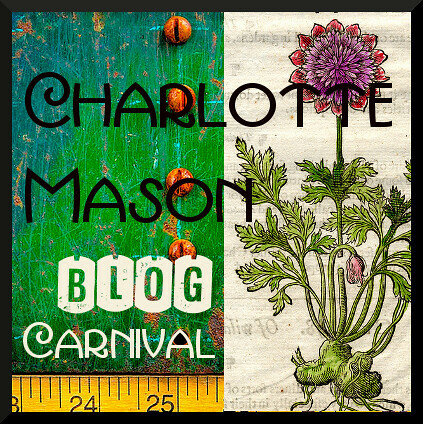 This post is also linked to Raising Homemakers, Finishing Strong , and Trivium Tuesdays as well as the Carnival of Homeschooling and the Charlotte Mason Carnival. Disclosure: As usual, I am not compensated in any way for mentioning these resources to you. We loved a Cry From Egypt. Still need to read the second in the series.